This long-term partnership will take on a two-pronged approach – first, to provide direct support to five existing forest-based social enterprises, and eventually, empower local governments and educational institutions as positive enablers for the forest-based social enterprises. 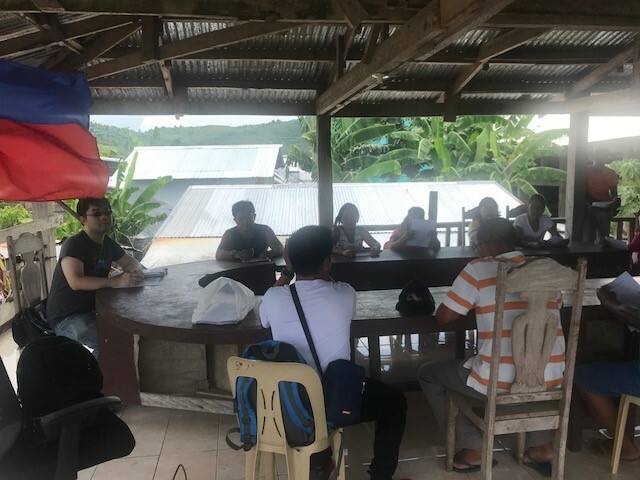 Aside from research and consultancy, Bayan Academy is to provide support to selected forest-based social enterprises in Palawan and Samar through social entrepreneurship and management training, community and organizational development, appropriate business investments, and continuous monitoring, mentoring and enterprise support. Five enterprises were chosen for this project: (1) Nagkakaisang Tribu ng Palawan, (2) Brooke’s Point Coco Producers Cooperative in Palawan, (3) Woven Crafts Inc. in Samar, (4) Sohoton Services Cooperative in Samar, and (5) Seedcore Agri-Industrial Corporation in Samar. The engagement began in June 2018 with a baseline assessment by Mr. Douglas Candano of the five CFSED social enterprise beneficiaries. His report on the profile and status of the community members in relation to the social enterprise will serve as a basis for the next steps of the program. In August, the team moved on to the next steps of the project: social enterprise opportunity seeking and social enterprise sector assessment headed by Dr. Roehl Briones; and organizational diagnosis for scaling up the provincial social enterprise program headed by Ms. Charizze De Castro. These activities are crucial to the strategic planning with the community for social enterprise building which will take place in January 2019. Ultimately, the outcomes of these activities for the five targeted beneficiaries shall be realized in the form of profitable and sustainable social enterprises that uplift local communities and protect the nearby forests and environment. The vision of this project is to establish social enterprises that can achieve commercial success and sustainability, so that Forest Foundation Philippines and other organizations will no longer have to invest additional resources in them.